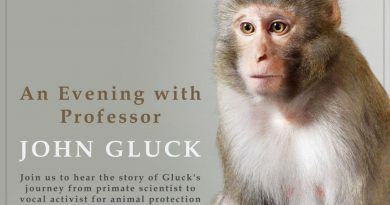 Local activists braved the weather to spread the message that animal research takes lives – humans and animals both suffer. 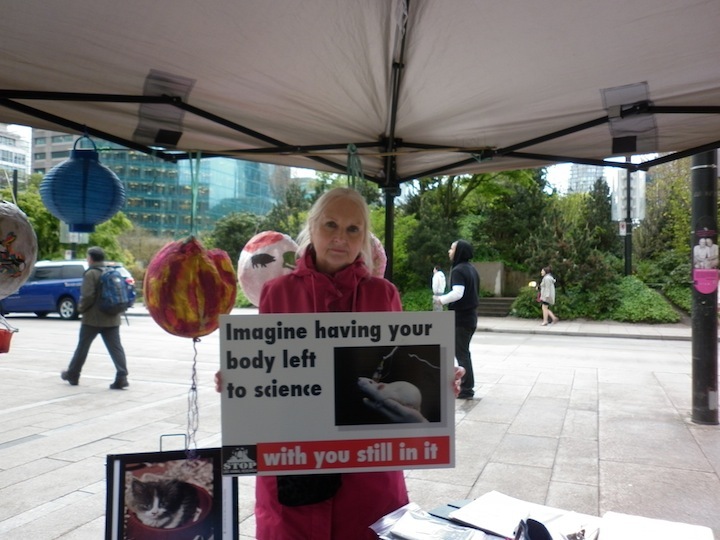 Thank you to all who turned out for World Week for Animals in Laboratories events in Vancouver! Posters and lantern display outside the Vancouver Art Gallery on April 23rd, to mark World Day for Animals in Laboratories. 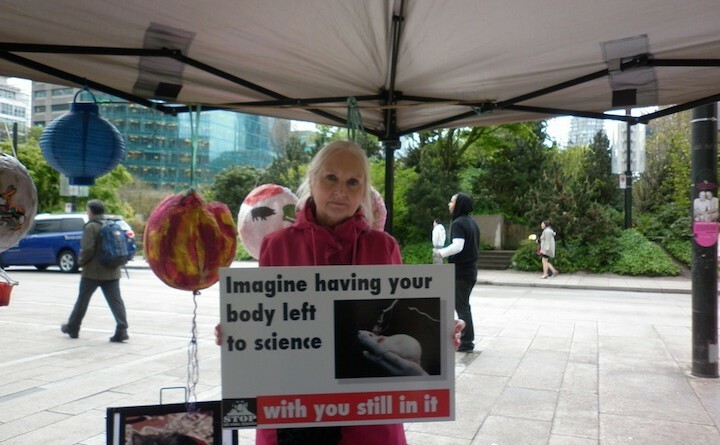 Lantern display outside the Vancouver Art Gallery on April 23rd, to mark World Day for Animals in Laboratories. 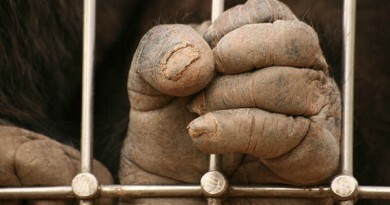 Gathering of animal advocates after a walk to St. Paul’s Hospital where vivisection takes place. 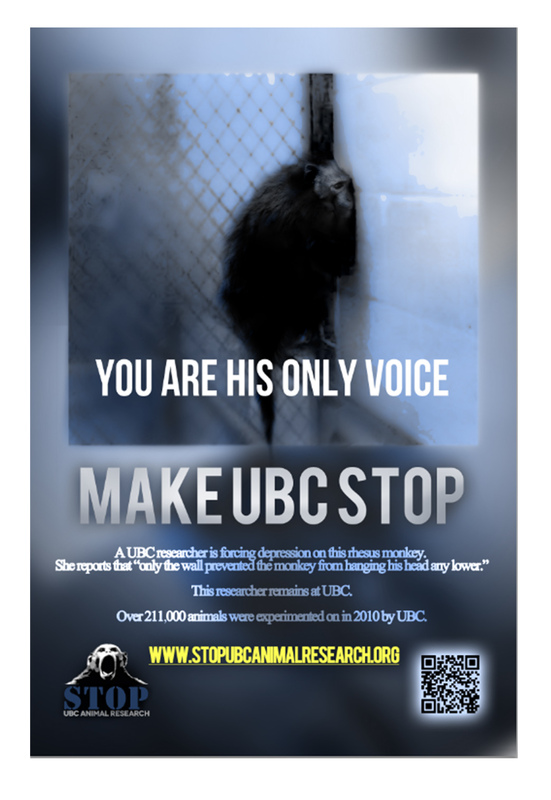 August 7, 2015 ADAV Society Comments Off on STOP UBC Animal Research & ADAV Society at Vancouver Pride Festival 2015!